Paraje de las Canteras s/n, 30880 Aguilas, Spanien. 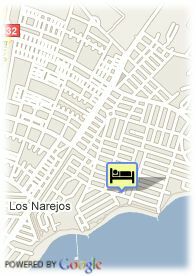 Hotel nearby the beach in Aguilas, Murcia. 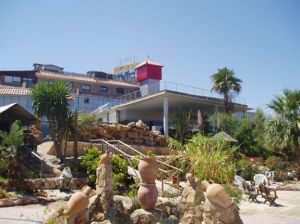 Don Miguel Hotel is a comfortable establishment, ideal to spend your holidays, the weekends or to celebrate events there. Don Miguel Hotel is placed at just 15 minutes walking from the beach of Aguilas, in Murcia, and at one km from the old town of this city. The establishment was newly refurbished. Of modern style, it has 64 fully equipped rooms, decorated in a pleasant style. Don Miguel Hotel offers two restaurants and a terrace perfect to drink a cocktail. Enjoy its outdoor pool, surrounded by pleasant gardens, or its large offer of sport facilities: 2 paddle courts, gym and a kid's mini club. Moreover, Don Miguel Hotel has two lounges, too, ideal to hold any kind of family or business events.